Hello all, I initially got on the forum to gather info about a Jet Jon build which I have tabled until later. 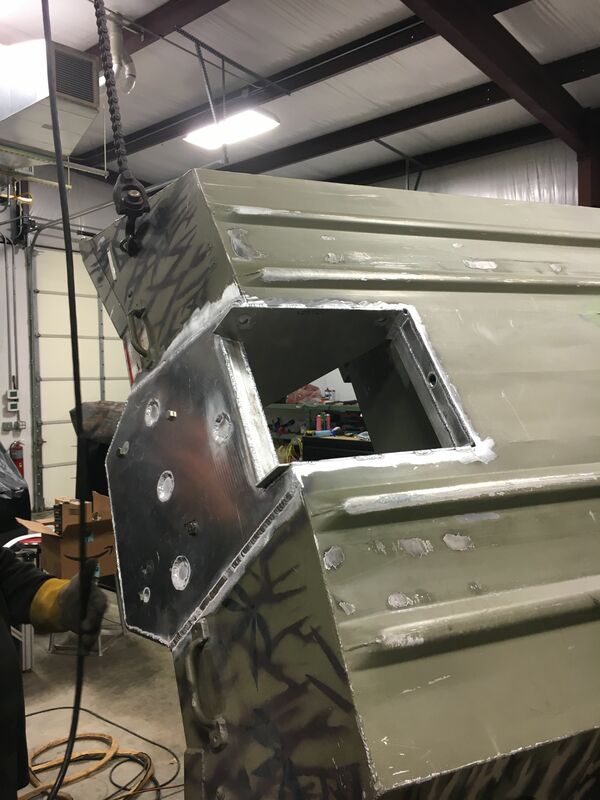 I switched gears and decided on a prop boat build to hopes of fishing a few tournaments out of it. 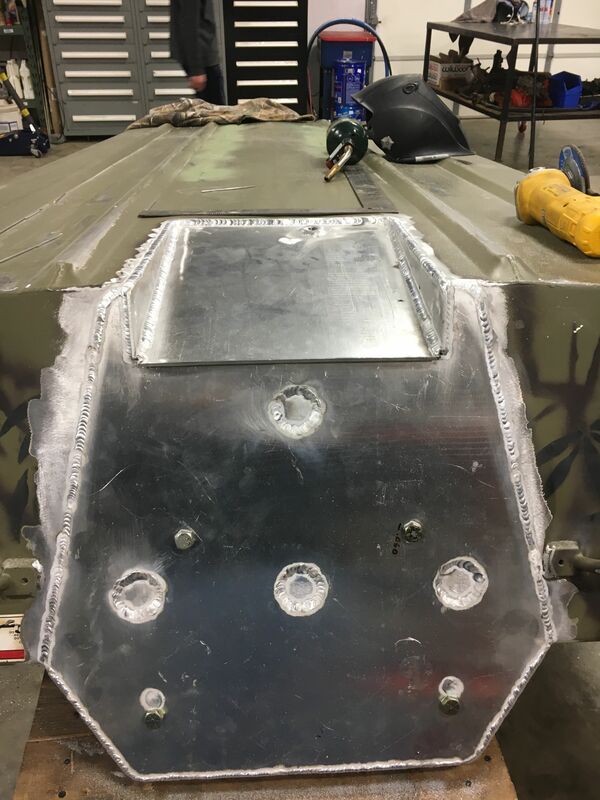 I bought a 2010 Tracker 1654, I have so far stripped it down to bare hull, cut a pocket tunnel , 4" high, 13" wide, 13" forward, cut out the bench seat to design fuel tank and livewell area with a seat pocket for driver and passenger. 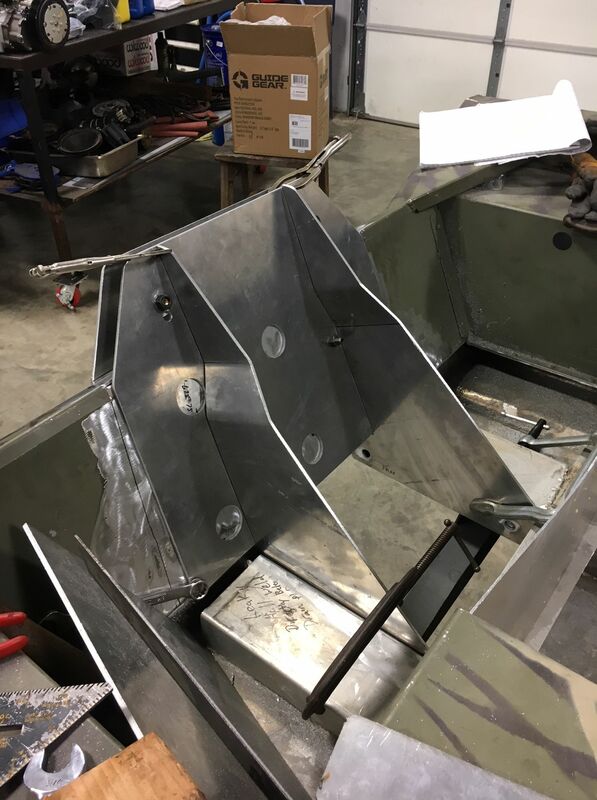 The pocket tunnel will incorporate top riser knee braces and 4 inch shoulders on transom. 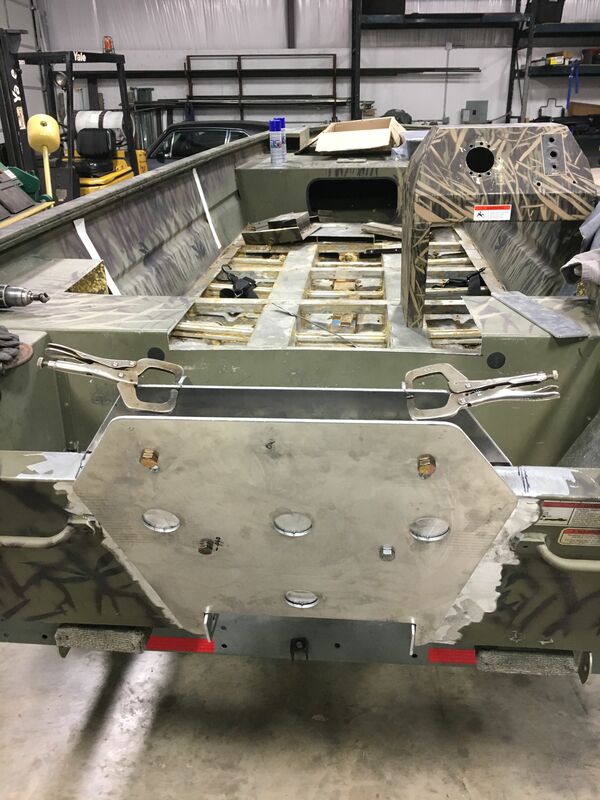 Rigging wise it will be a 60 Merc 4 stroke, an atlas micro jack, a 112 Fortrex, baystar steering, an 8 foot front deck with trolling motor recess and center rod locker. All the foam areas will be re-done with 3lb closed cell marine foam. 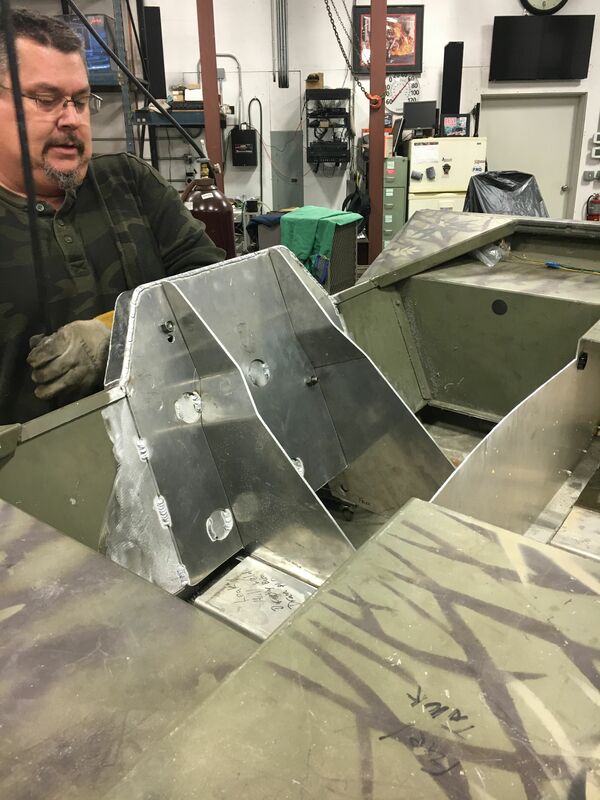 The left side of deck will be a single door compartment and the rt side a pair of small doors in front of the console. I will add float boxes to recover the lost square inches of flotation. Once I am done I will figure out electronics and anchoring. I will post some pics as I get this thing rolling. Input on prop for decent lift would be appreciated. I know top speed gets scrubbed with pocket tunnel but want to be able to run skinny water. Welcome aboard. Sounds like an interesting project. 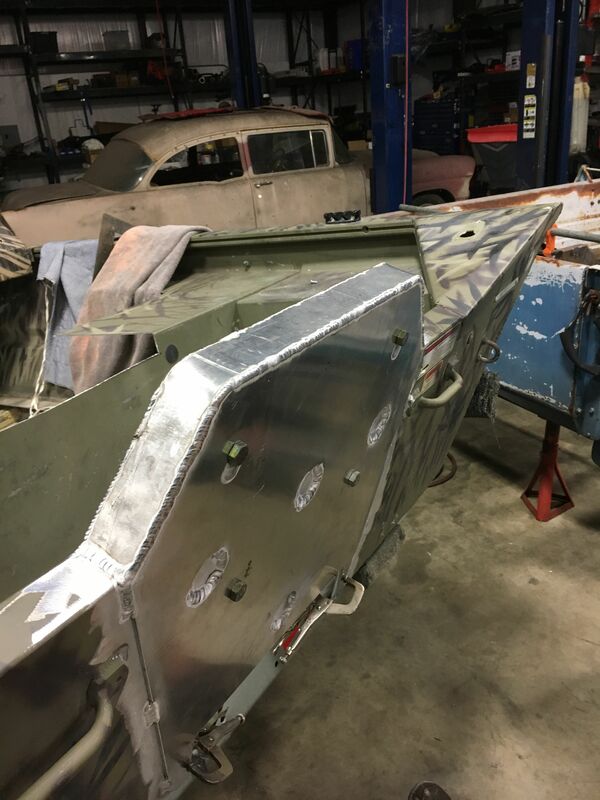 Can't help you on the prop question but I look forward to seeing your pics and watching the build. Welcome aboard also, I have a 1654 FB Tracker GRIZZLY and really like it. Can't help out with the prop either but will be waiting for pics., sounds like an interesting project also. 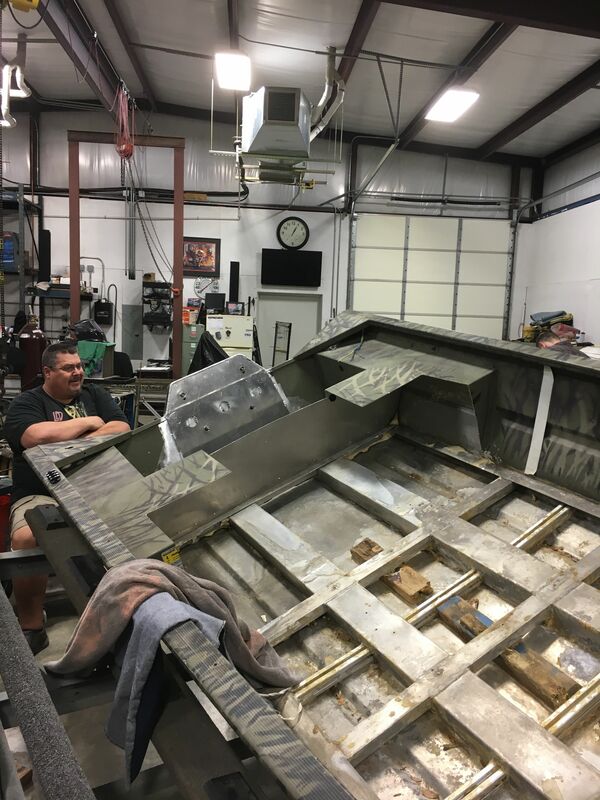 I would start with what the manufacturer recommends for that set up but, since you have modified the hull, it may not work as it should. The recommended prop for the standard set up should give you a good starting point. You could also look for a similar set up and see what that uses. I figured out how to post pics! 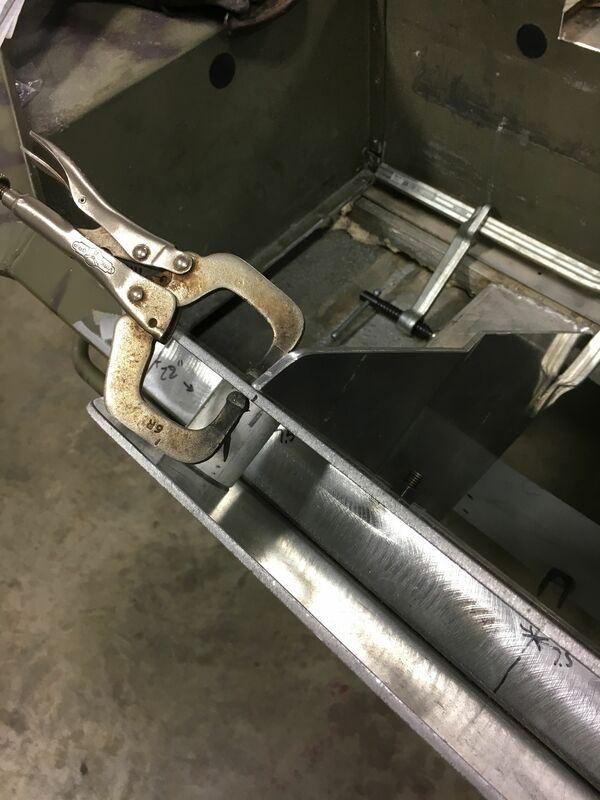 So if you look at those you can see what I am going for in "Kneebraces" to those two main stringers that run the length of the hull. 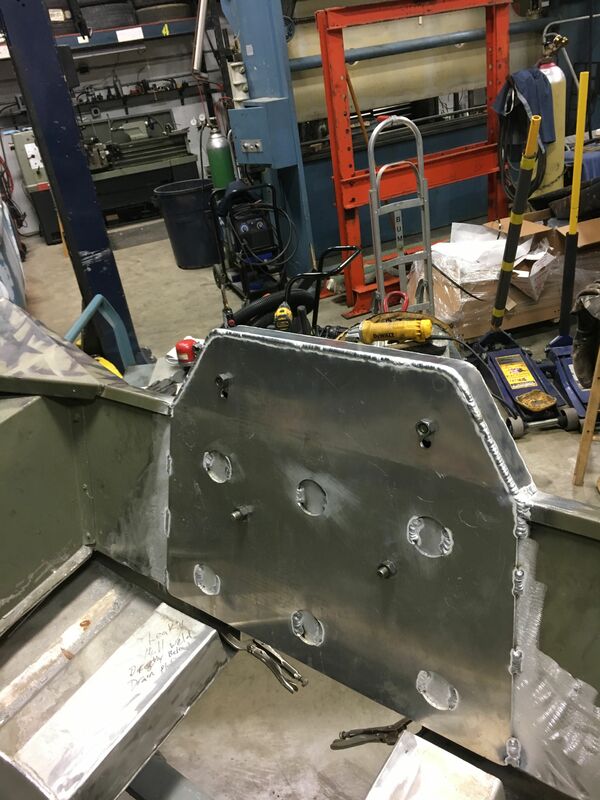 Also, look at the billet shims in the tombstone part of the transom rise. 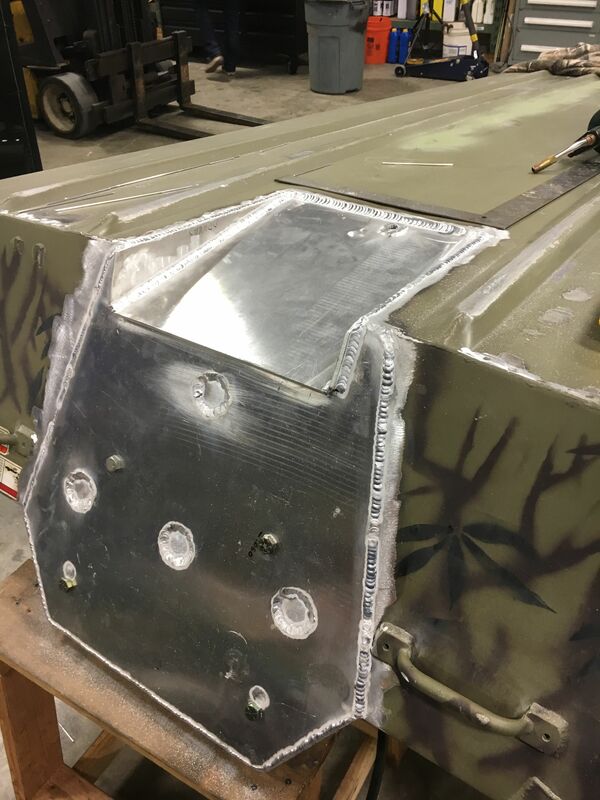 Those are to prevent the usual collapsing of the inner and outer transom they are also on the lowers too. The tunnel is basically a mini pocket to give me a step to raise the motor up, it goes forward 14 inches and is just under 4 inches deep, its 13 inches wide. I got this idea from a very reputable boat builder in La. I know I will scrub some speed but with boxes equal to or larger than the surface I removed it should still fish skinny. 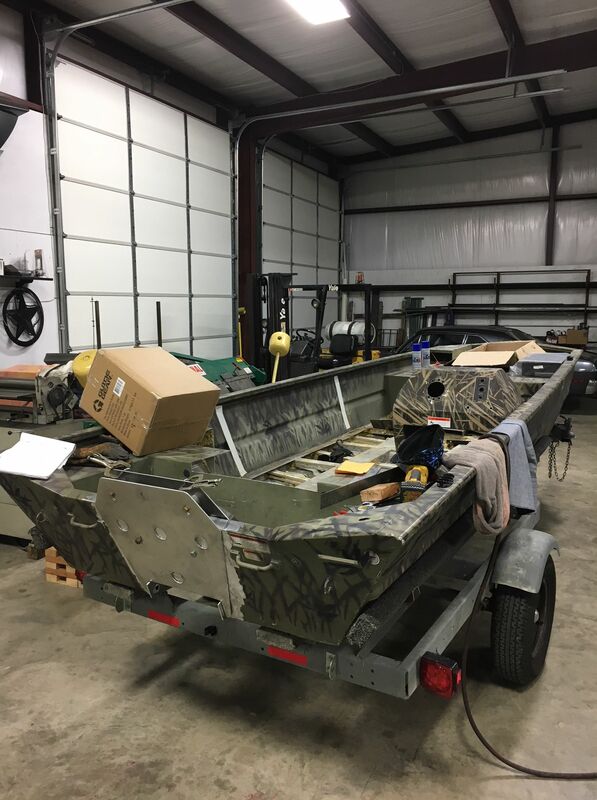 It will have a full front deck with gear and rods and whatever balancing I need for it to fish level. I will deal with the dreaded porpoise issues that I know I will have due to where weight is. 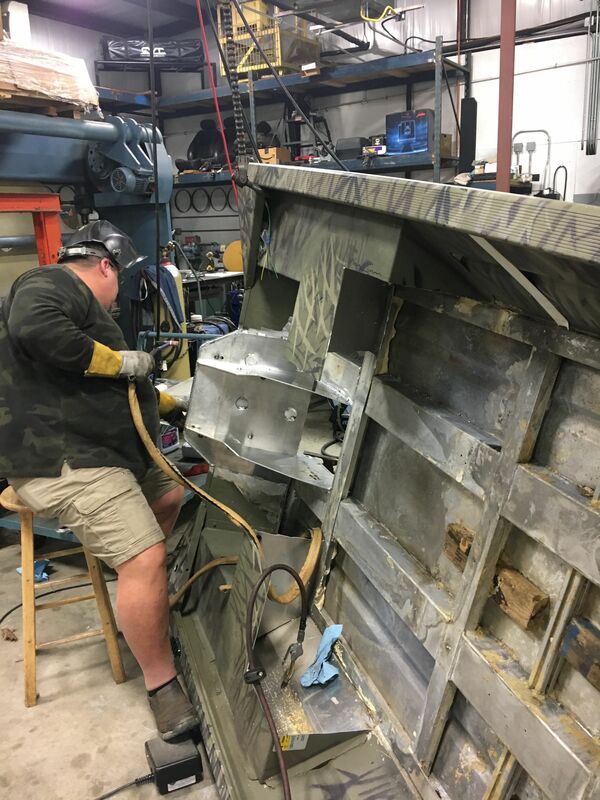 (tiny back deck large front) The fuel tank will be under the two seats across the floor about 14 gallons, the livewell behind the tank and seats then the bilge cover making up the back deck. Nice work and good luck! But is that a 210 I spied in the background? 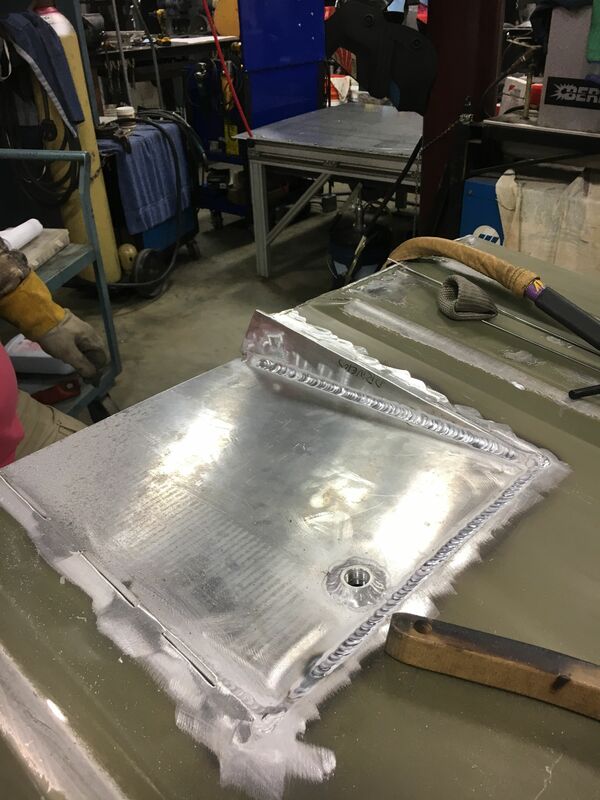 Well, looks like you and Fab Daddy are doing some fantastic fabrication work. Those knee braces are works or art. Nicely done. Yes it is a 210 pretty straight too! Thank you for the compliment , a few more pics later today. Any concern with the impeller getting enough water while running with the motor high?